Hollywood Hunk Actor Liam Hemsworth is Now the Newest Bench Endorser! After Joe Jonas, Bruno Mars, Michael Trevino, Lucy Hale, David Archuleta and K-Pop superstars Siwon and Donghae, another international actor was added to the A-list endorsers of the leading global clothing brand Bench. 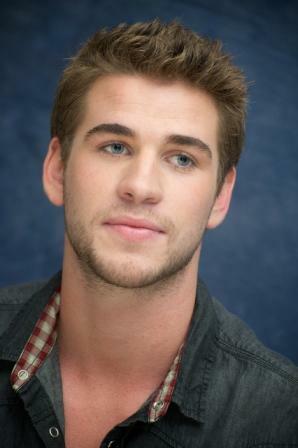 Liam Hemsworth, the lead star of "The Hunger Games" already signed with Bench as its newest international endorser. Liam is the youngest of the three Hemsworth brothers in Hollywood, the other two are Luke and Chris Hemsworth, the latter playing the titular role of Thor in "The Avengers". Before starring as Gale Hawthorne in the hit film adaptation "The Hunger Games", Liam starred together with Miley Cyrus in the 2010 film "The Last Song." Miley and Liam developed a romantic relationship and right now, they were already engaged! So lucky! Some of the billboards of Liam for Bench were already up in EDSA Guadalupe. I'll share these with you in my next post.